SOUTECH has been promoted by highly experienced professionals dedicated to provide total IT solutions under one roof. If you are a start-up, an established enterprise or something in between, you need skilled and experienced resources to help you realize your business vision and commitments. SOUTECH offers you well-trained professional outsourced developers for your projects with Quality and commitment. We deploy and manage your dedicated team at our facility for any web application development, product development and maintenance. Our Team of specialists will be available onsite at your premise and will understand your business requirements, translate the same for development purpose and will ensure the success of the same by implementing a Proof of Concept (POC) which you approve. On the basis of the approved POC, we will deliver the product as per the Engagement model that you choose. SOUTECH offers you to hire resources with diverse skill on an hourly basis and simply pay for the time spent on doing the task. This model is best suited when requirements are not known clearly and tend to change quickly. A project in this model can be started quickly without waiting for a detailed specification. Changes in project scope can be made easily during any phase of the project lifecycle. SOUTECH recommends this model when the Client has complete project clarity which needs to be defined, designed, developed, delivered and supported. Once the project is approved by the client, SOUTECH will create a dedicated team that will work with all the involved stakeholders as per the defined SDLC to deliver the desired software. Our process of delivery has matured over the years to deliver as per the agreed milestones keeping all communication channels open with your team, thus they are always aware of the progress being made, and they can always help and guide the team as required. The fact, that 76% of all fortune 500 companies have deployed Global Delivery Model to mitigate financial concerns and simultaneously leverage offshore talents for futuristic solutions, makes GDM indispensable in global market. SOUTECH realizes the importance of being competent in the global market both strategically and technologically. Our global delivery model (GDM) enables our domestic and international clients to leverage our methodologies and expertise from anywhere in the world to add value to their organization. Our designed solutions are well researched and correctly deployed within the time and budget. SOUTECH has designed the global delivery model or mechanism that can be customized for individual projects whenever required such as costing, skills availability quality of deliverables, service coverage and efficiency. The model works by classifying the activities in various phases in order to reduce the time to market the product, improve efficiency yielding better ROI. Development Engagement: Under the model, an onsite analysis is done followed by continuous support from offshore team. The solution designed by our team will be deployed onsite and business will receive support for the solution from our offshore team consistently. This is the only model which is used for most of the global projects. Testing Engagement: SOUTECH’ global delivery model allows businesses to leverage the GDM for any testing campaign. Setting up an in-house team for testing the developed software or application would not be a judicious step. SOUTECH enables its clients to get access to the world class team with years of experience. Support and Maintenance: Our global deliver model permits its clients to leverage our consistent support capability with our professionals working offshore. We ensure fast turnaround time for our deliverables as well as reduce the delivery cycle substantially. The pool of professionals helps businesses focus on strategic business processes and works diligently on their projects for robust effective and pliable solutions along with cost reduction. The defining combination that gets an organization an advantage over its competitors is its compatibilities and capabilities to meet the future technology needs. Thus, it becomes extremely important to develop system that is capable of meeting future technology requirements so as to push the growth trajectory. This calls for IT transformation which is vital to strategic gains and flawless business processes. Or whether there is a need to recruit or set up a team on-premise to meet future technology requirements and business needs. It is progressively tumultuous process and exceeds the budget allocated as it requires a new IT in-house team to be hiring trained,skilled professional as well as setting up the required environment. Outsourcing to SOUTECH based in Nigeria resolves the budgetary concerns and brings scope to expand business with the robust solution it develops for your organization. 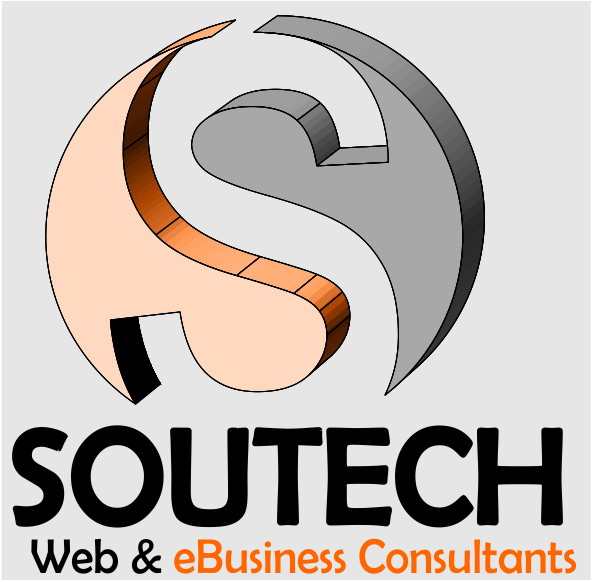 SOUTECH is a leading IT outsourcing agency in Nigeria that specializes in software development, web development, IT consulting, staff augmentation and testing. We have clients from across the globe spanning retails, entertainment, real estate, education, and telecommunication. SOUTECH helps its clients with futuristic solutions designed on robust and scalable technologies. IT outsourcing to SOUTECH is a cost advantage to our clients as it confers immense experience and expertise in various domains as well as technologies to augment your IT staff. We take care of your IT requirements and allow you to focus on your other business processes. We are a partner to be banked upon. If a business goes for IT transformation on its own, it might lead to unnecessary high cost and uncharted territories. SOUTECH with its efficient IT outsourcing team analyzes your business requirements as well as assesses the existing systems for upgrade and designs a final mock-up for transformation. On the approval from our clients, we develop highly extendable solutions so as to equip our clients with technologically efficient and futuristic platform to streamline all the processes. Our expertise in different technologies and exposure to various industries become the reason for a long term relationship with our clients. One of the major advantages of employing an offshore development company is that a business gets innovative technologies that can help in augmenting the overall standard of the product within limited budget. Are you looking for onshore or offshore solution for your mid or long term development projects? Do you want to develop business centric applications or software for your business? Are you fixed on hiring skilled and experience developers, programmers or project managers? SOUTECH, based in Nigeria, holds its strength in offshore and onshore development projects, no matter wherever you are located. Our team that has exposure to various industries and experience with numerous offshore application and software development projects and maintenance is fully equipped with required expertise in their domain and technology. At SOUTECH, we provide off-shoring solutions to Nigeria that includes software development, web development, desktop and web application development, mobile application development and customized product or application development. Our software solutions in Nigeria cover a wide array of industries including ecommerce, entertainment, and media. Software, application, and technologies have redefined business in a much broader way. It is imperative to make sure these mission critical applications are built and deployed correctly. These applications and software help increase performance efficiency and productivity. What becomes cumbersome is to hire technical experts and train them for the business processes. Preferring offshore software development services is always a judicious business and financial decision for any organization. SOUTECH as an IT offshore partner proves to be a cost-effective, yet trusted choice for offshore application development or IT consulting services in Nigeria. We are your extended IT partner for your futuristic technology requirements. Our creative team of designers is fully backed by experienced and qualified IT professionals, developers, programmers, and project managers. Our team members keep themselves updated about the latest in their field by attending trainings, seminars, and conferences.